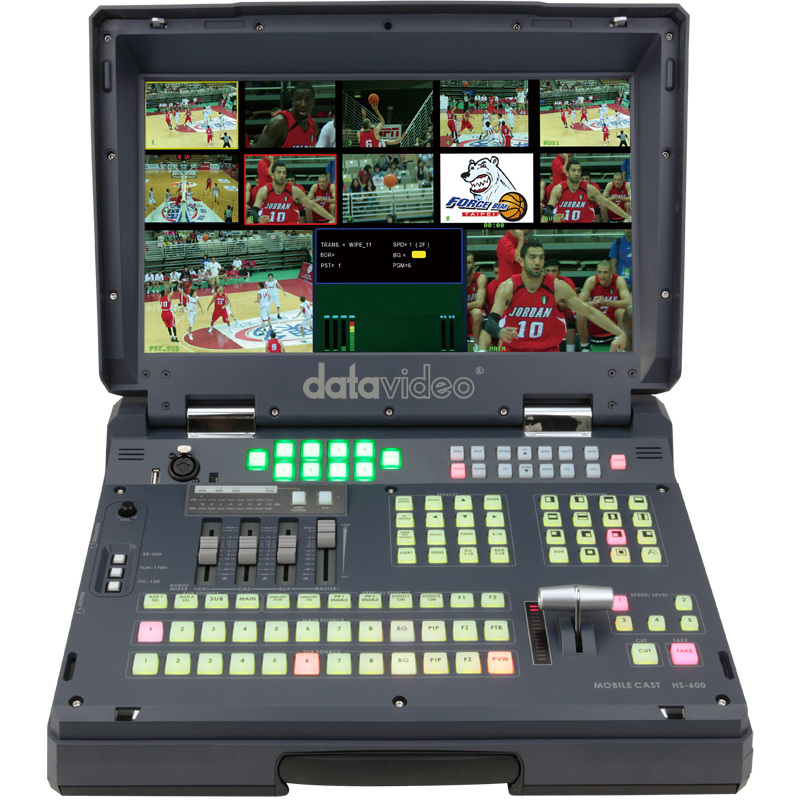 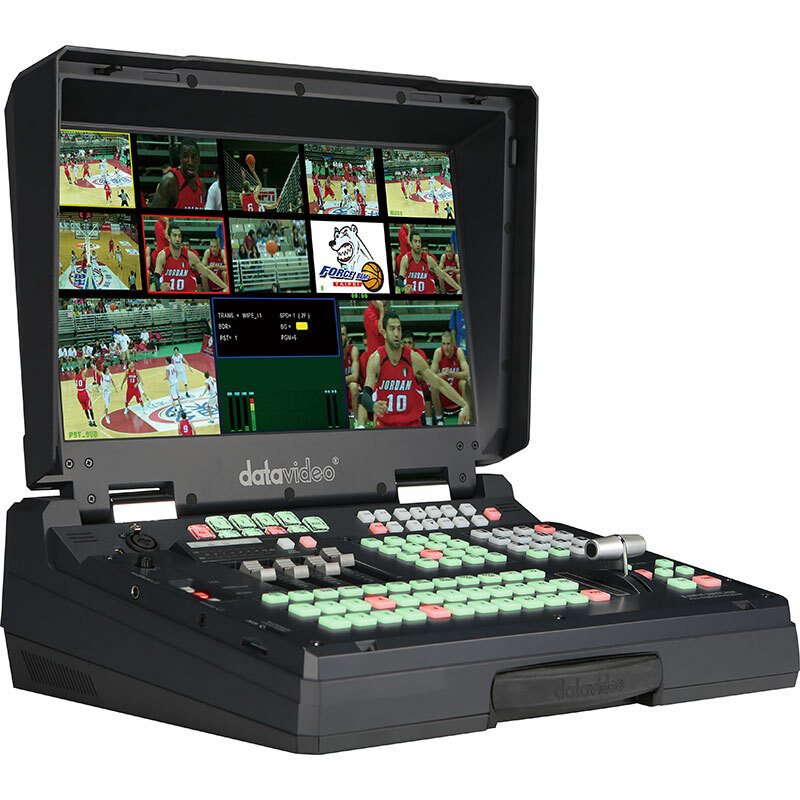 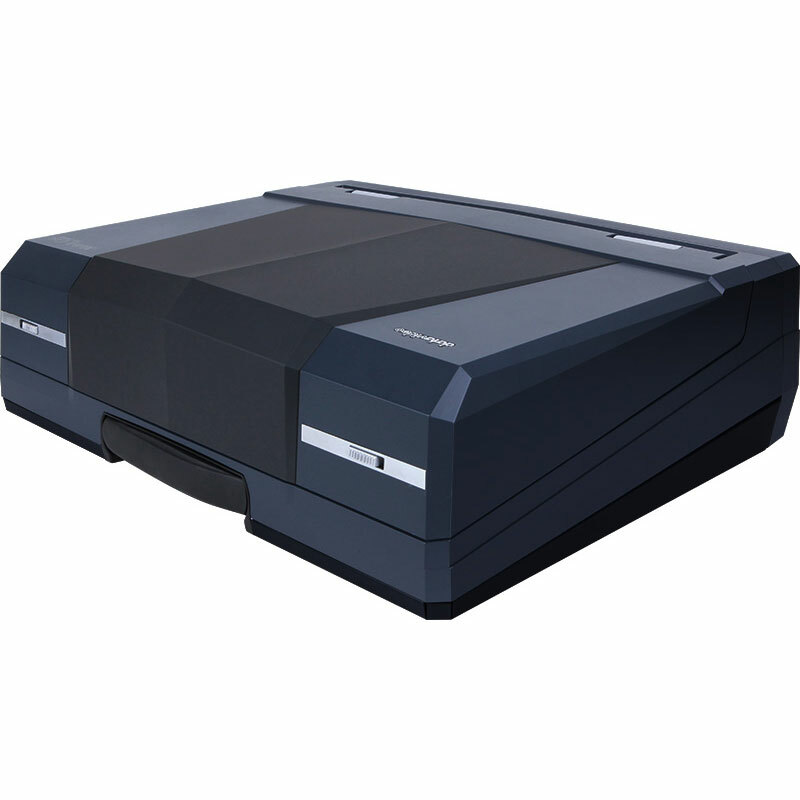 Datavideo's HS-600 is a tough, go anywhere SD production studio for multi-camera shoots. 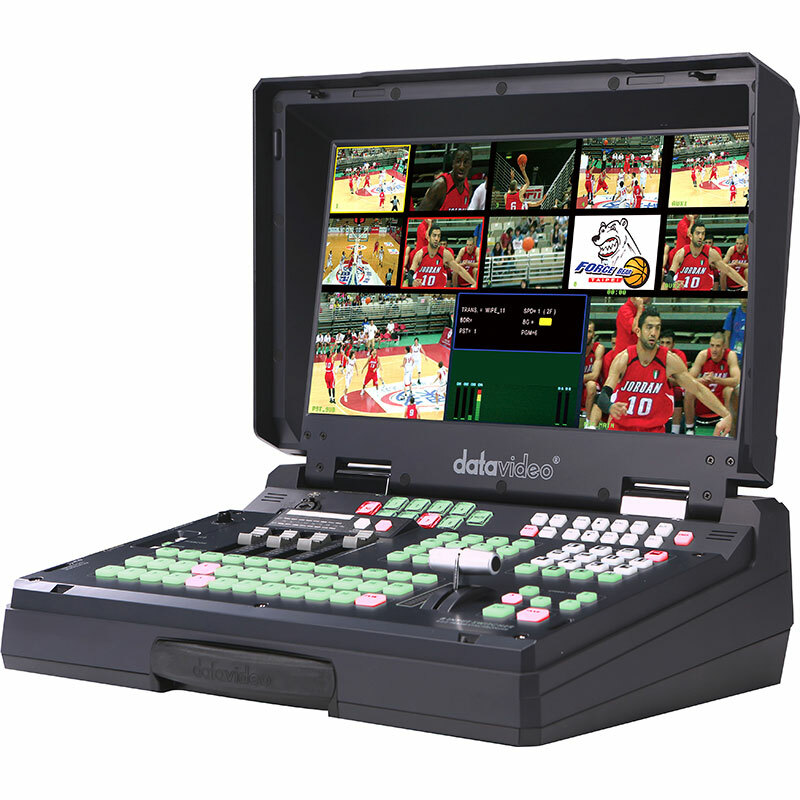 It's fully integrated, strong and well-featured for the price. 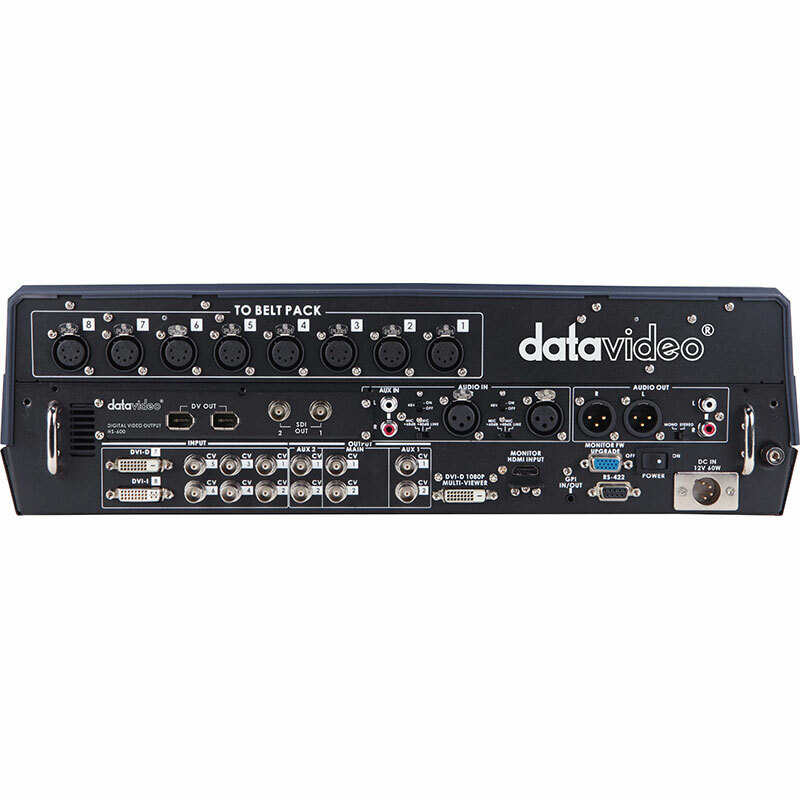 We recommend adding the optional SDI board for very long cable runs.